In 1901, when British-India was facing many health hazards, as medical science was in its pre-antibiotic and pre-vaccine era, there was a great need for the services of trained women nurses and doctors. Archbishop of Madras invited people to educate medical women as missionaries in India. And so Mary Glowrey of Australia following the footstep of Dr Agnes McLaren came to India in 1920. In 1942, Sr Mary Glowrey initiated the Catholic Health Association of India (called ‘CHAI’) with the support of Bishop Pothacamury of Guntur. The nascent CHAI had sixteen Sister-Doctors representing eight catholic medical institutions at that time. In 1968 the number of Medical Doctors in CHAI went up to 121, and in 1993 there were about 300 Sister-Doctors. 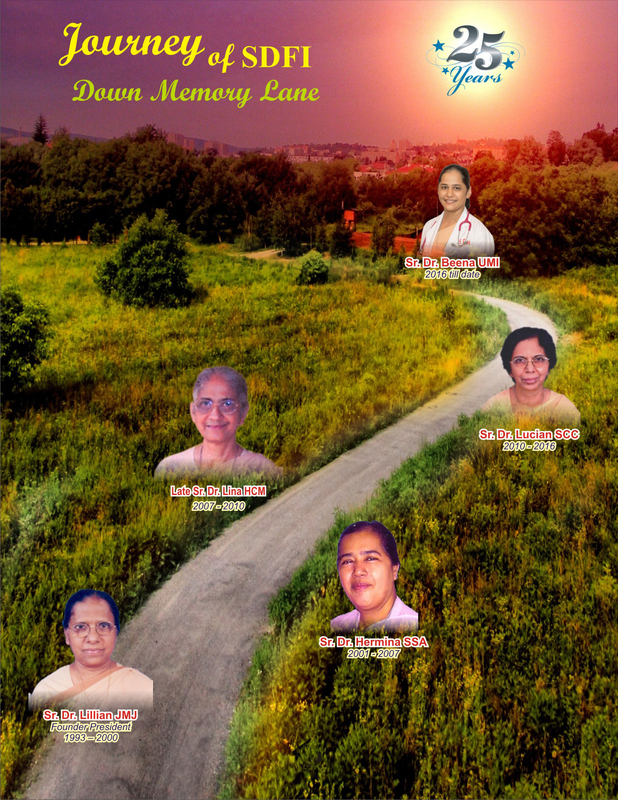 An inspiration to organize a forum of Sister-Doctors originated in a Golden Jubilee evaluation of CHAI. Fr John Vattamattom who was the executive Director of CHAI played a major role in this formation process. 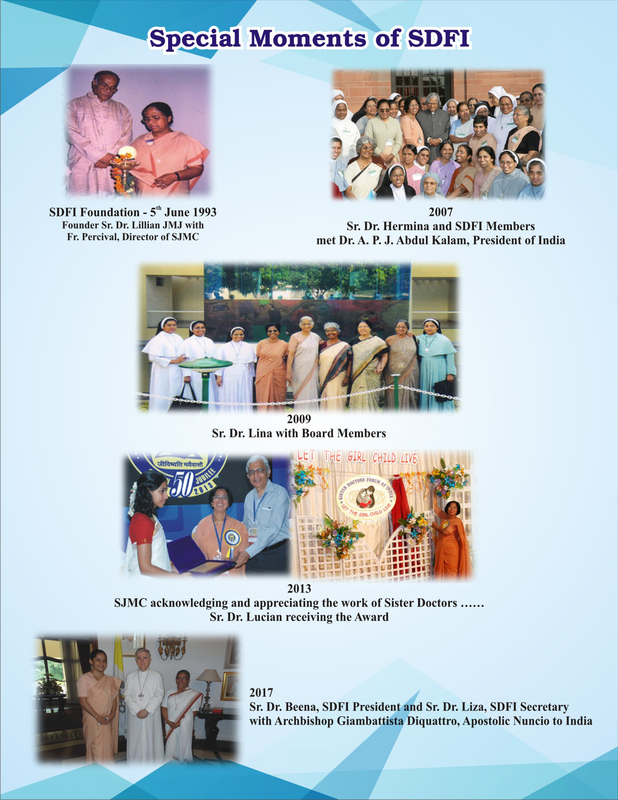 Finally, Sister Doctors Forum of India (SDFI) was formed in 1993 during the National convention of CHAI at Kaloor, Ernakulam with Sr Dr Lillian as the President. As of now, the forum has more than 800 members who are working for the rural and urban poor as Sister-Doctors.